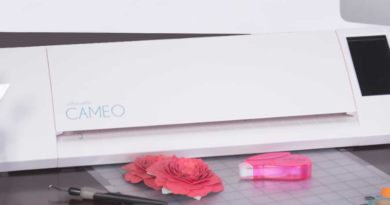 In my previous articles, I reviewed the Silhouette Cameo 3 and the Silhouette Curio. Now, it is time to check another vinyl cutting machine from this brand. This article will be about the Silhouette portrait 2 review. I will initiate by talking about the machine in depth then I pinpoint this dual: Silhouette portrait vs Cameo 3. If you want to know more about Cameo 3, check this review. If you want to know more about Curio, then take a look at this one. The machine has a nice modern design. I really like its oval shape even though it makes it more difficult to store. Also, it reveals the mat loading mechanism and the blade holder. The mechanism as its name suggests is used to load and unload the mat. The blade holder is the accessory in which you can put the blade in it. What is interesting about the Silhouette Portrait is that it is really compact and easy to transport. With its 16.2 * 5.5 * 4.4 inches dimensions and 3.5 lbs weight, it is easy to move and displace. The Silhouette Portrait 2 isn’t designed for cutting extremely thick materials. However, it does the job perfectly for the materials it is supposed to support. It handles materials such as vinyl, heat transfer paper, card stock and also fabric… With the deep blade, it can cut up to 5/64″ (2 mm) thick materials. With its 7.4 ounces (210 gr) cutting force, the cuts are of excellent quality. The Portrait 2 supports also the Auto blade which makes cuts easier to achieve. It is not a must-have have feature for a vinyl cutting machine, but still, it is nice to have it around. With a standard blade and before starting a cut, users usually have to adjust the blade’s depth. However, with the Autoblade, the machine takes care of everything. Well, the type of the material still needs to be declared, but this isn’t really a big deal. With this functionality, users should be less prone to errors and mistakes. The machine usually comes with a cutting mat. It is used to several materials but not all of them. Some users say that the cutting mat is too sticky. This makes removing their creations harder. However, as stated by Silhouette, the stickiness should disappear the more the mat is used. Last but not least, the cutting mat with its 8 *12 inches is enough for small to medium creations. Luckily, the maximum cutting width can go up to 10 feet with line media. Portrait 2 can be used not only for cutting but also for drawing. You can use this feature to write your own cards with style. To use the drawing capabilities with the portrait, there are two different ways. The first one consists of buying a pen holder and replacing the blade holder with it. Then, all you have to do is put your own pen in the holder. The second alternative is in my opinion, more restrictive and more expensive. It consists of using simply the blade holder with Silhouette’s own collection of pens. They are available in the Sketcher pen starter kit. 24 colors are available in this case. Portrait 2 supports wireless connection with the Bluetooth technology. However, not all of the machines come equipped with the Bluetooth module. In this case, it is possible to buy it and add it without much trouble. Of course, it has also a USB port for those of you who still value the old school approach. Silhouette Studio is the defacto software for all the vinyl cutting machines from this manufacturer. The basic edition is normally provided for free with the machine. Normally, it has all that is required to get started with vinyl cutting. 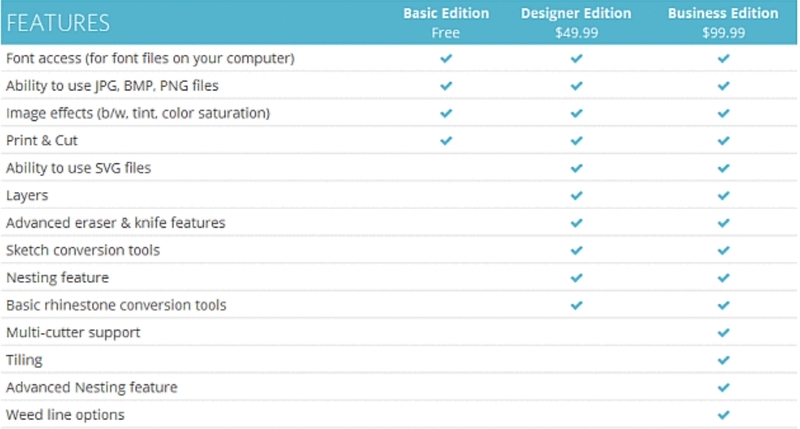 If you are interested, here is a list of the features of the free basic edition and the “pay to have” one. For a beginner, I personally advise you to stick to the basic edition. Once you master it and need to move to an advanced phase, you can try the Designer edition. Of course, the price varies from a seller to another. Like the other Silhouette machines, Portrait 2 supports PixScan. With it, photos taken with a smartphone or any other tool can be downloaded to the machine then cut on paper. There is a small caveat to this functionality. A special mat is necessary. For example, If you want to use it with a heat transfer paper, you will have to put it on the on the special mat. Then, once the image put into the computer, Silhouette studio takes care of detecting the edges on the image and adding marks. These marks will define where the image will be cut later. It is definitely feasible to customize the cut. Print & cut is similar to PixScan. 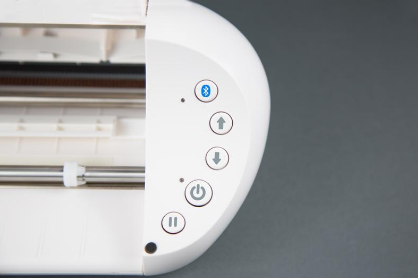 It allows you to cut printed images. Before printing the images, you need to edit them with Silhouette Studio to add the registration marks. Why? These marks will be recognized by the machine later to know where to cut and where not to. This is definitely a great functionality which will allow you to cut images downloaded from the internet. Silhouette machines are highly appreciated by the community and portrait 2 is no exception to that. 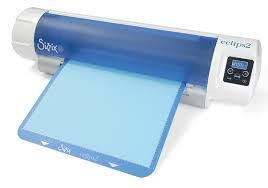 Customers appreciate especially its efficiency which is provided with a lesser cost than the other silhouette machines. However, some of them say that the cutting mat is a bit too sticky. Silhouette is aware of this problem and says that it can be resolved by using the mat regularly. Silhouette Portrait is sold mainly as a cheaper alternative to the Cameo 3. On paper, it is supposed to do most of the operations Cameo 3 can do. In practice, there are several differences between both machines. First, Cameo 3 has a wider cutting width and thus a wider cutting area: 12 inches while 8 inches for Portrait 2. Second, Cameo 3 can be used as standalone machine while the Portrait 2 requires the use of a computer. Third, Cameo 3 has a dual carriage. With it, you can use two accessories at the same time. Portrait 2 has only one accessory. Fourth, Cameo 3 has a touch screen with integrated tutorials and advanced features while Portrait 2 is based only on buttons. This is not necessarily a disadvantage. I really believe that it makes Portrait 2 easier and simpler to use. Last but not least, Portrait is smaller and less heavy than Cameo 3. Now that we saw the differences, let’s check together the similarities. 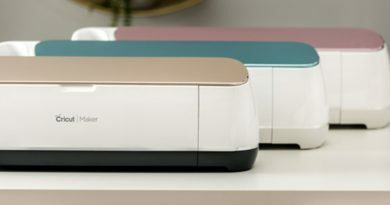 The first common point between the machines is the fact that they both support Silhouette Studio software, PixScan, and Print and cut functionalities. Besides, both machines are for vinyl cutting and have the same cutting capabilities: up to 5/64″ (2 mm) with the deep blade. Now we come to the end of my article. We saw the major features of Portrait 2 through this review. We saw also the outcomes of Silhouette Portrait 2 vs Cameo 3. In a nutshell, it is like Silhouette said. The portrait 2 is a cheaper alternative for vinyl cutting than Cameo 3. If you are a beginner, I highly recommend starting with it. 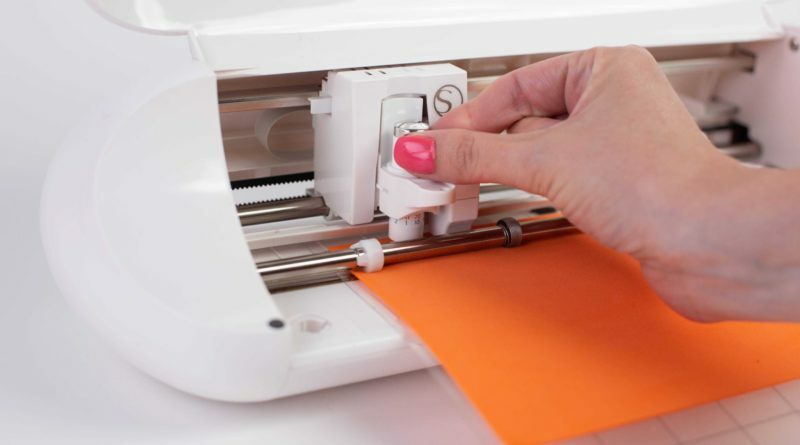 If you just want it to print, cut vinyl and transfer paper and you are beginning in this domain, then this machine will certainly prove itself as a good match for you.